Mix sugar, butter and Crisco until smooth. Add the eggs and vanilla and continue to mix until creamy. Add the oats, cookie crumbs and sifted flour and mix until cookie dough is formed. Form into a ball and refrigerate or use immediately. Form into little balls and gently press down to flatten a little. Bake 10-12 minutes until slightly golden around the edges. These are delicious for milk and cookies or a good cup of coffee. 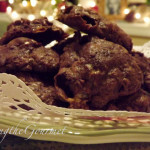 Quick and Easy Chocolate ~ Chocolate Chip Cookies!!! 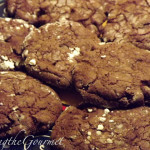 Quick and Easy Brownie Marshmallow Cookies!!! Old Fashioned Oatmeal Raisin Cookies!!! 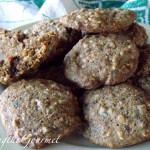 M and M ~ Almond Cookies!!! These Cookies are Just So Good!! I only took one Catherine. I wanted to leave some for everyone else. Change of life, ha,ha. I am thinking. I see you use butter for the cookie recipe. Can I use Margarine? Chol issue. Also does the oatmeal have to be the cooked kind or can I throw in the instant Oatmeal Pky I use for breakfast? Do these cookies chew crsip. I am a crip coookie lover not a soft type. 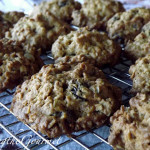 Do you have a crisp oatmeal cookie receipe. They are so Yummier. I remember a older neighbour when my children were 3 and 4 years old. 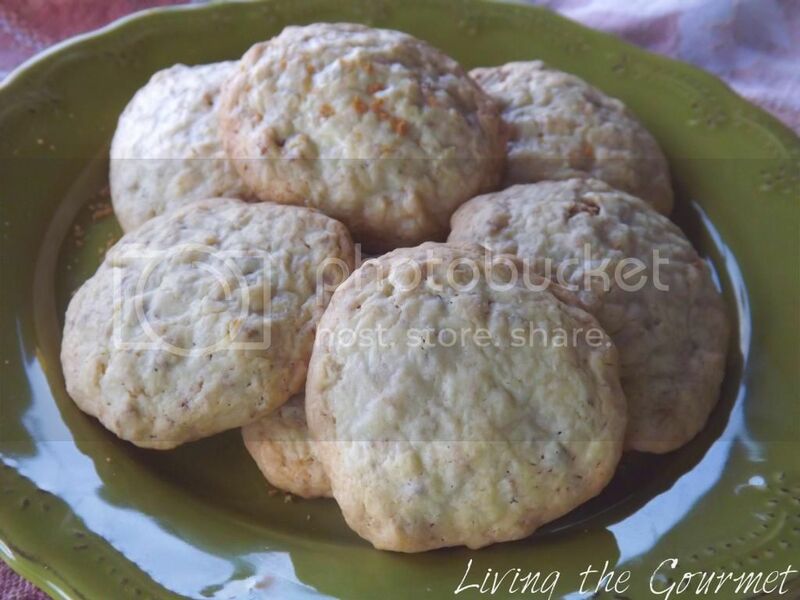 The lady used to call me over twice a week with the children to have tea and these crips oatmeal cookies. We would talk and my children would play with blocks on the floor. She had so many different toys. Kids loved to go. Back then one never asks for people who invite you over for the recipe as it was then consider an insult.Not like today. So if you have one Crisp Oatmeal Cookie Receipe. Can you post it. The cookies were as big as the mouse we use on our computer but of course round. These cookies look irresistible, Catherine. I'll be following you too,I really loved your blogue! These cokies loke great, can I take one? 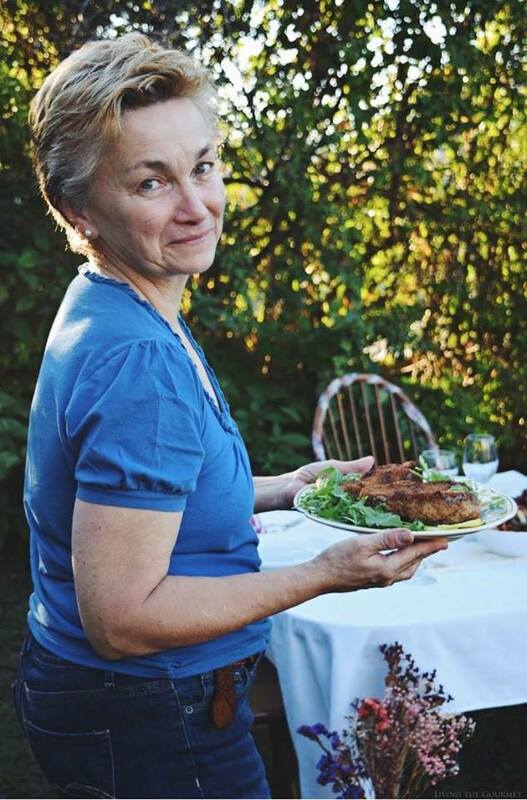 Your blog are lovely and your recipes are very good!! Now, I following your blog, too! I came visiting you, more times. Catherine are these like a white oatmeal cookie? wow they look great my son wants me to make these asap! I CAN'T say no to a great cookie like one of these! 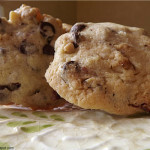 these really do look easy and they are a great way to use up some cookies that might be ready to go stale. have a great day! What delicious cookies!!! Wish I had one now! These are lovely cookies.......I'd love a couple of these with my coffee! These cookies would be perfect right now, since I've just woke up and I'm having a cup of tea :). Congrats Catherine, you always know what I'm looking for :). Beautiful cookies...just perfect with a glass of milk!!! These sound great Catherine...one question though..what is 'crisco'?? These cookies look delicious..and the best is, they're homemade! With the season fro cookies on us, it is time for new recipes and new tries alongside the old family recipes..
Aqui estou eu a retribuir a sua visita e agradeço o seu comentário muito simpático. Estas bolachinhas são uma maravilha. Ahh beautiful, any type of cookie is fine by me! I am following your's. I like very much your blog. God Bless. Hugs to you. Hey! These cookies are sooo yummy! 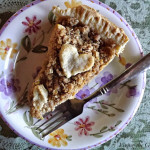 My friend tells me of this flauntmyfood.com website and i go there and then i found this recipe! Glad I found your blog! Bookmarked!